Hello everyone! 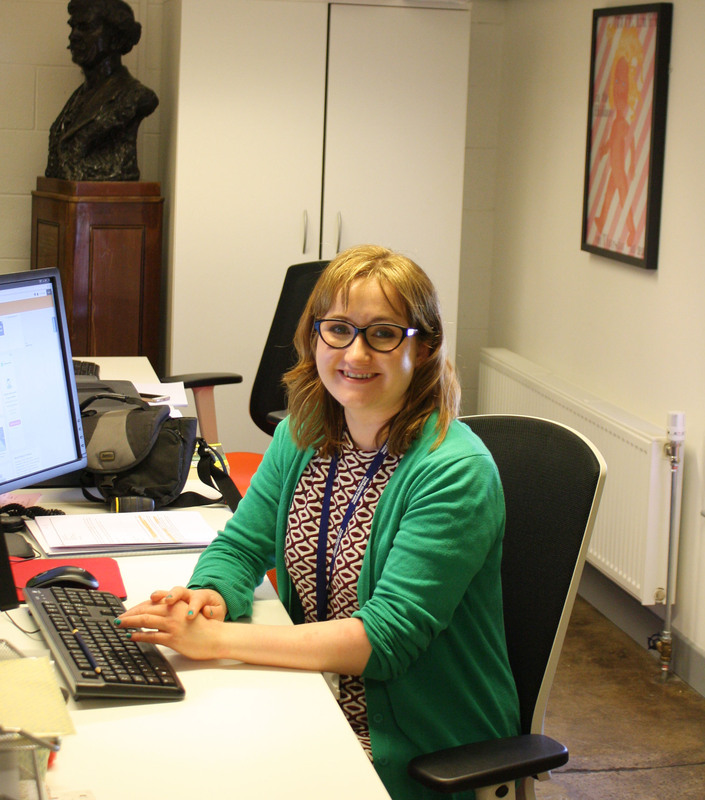 My name is Cat Doyle and I’m the new Archives and Collections Assistant at GSA. I’ll be on hand for all visitor services so please don’t hesitate to drop me an email at: archives@gsa.ac.uk if you want to make an appointment to pop in, have a chat and enjoy looking at some unique material. Not to mention to enjoy the great canal views from The Whisky Bond. 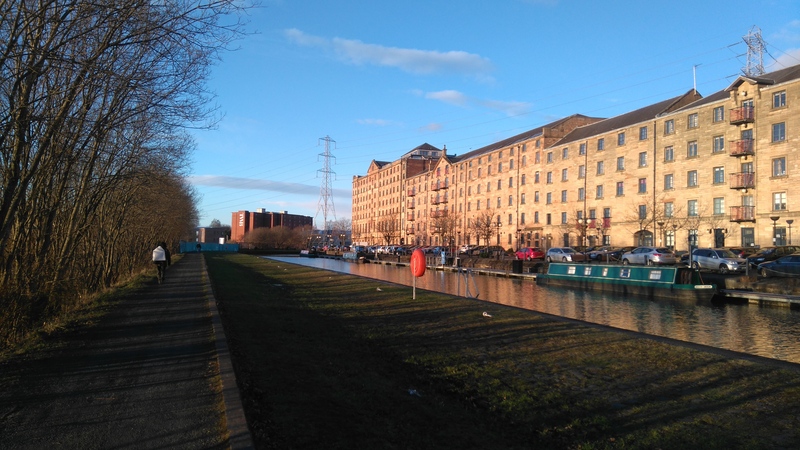 View of The Whisky Bond from Speirs Wharf on the canal side. Those keen regular readers amongst you might remember me from our International Links project last year, but if you need a refresher check out the International Links project page. Prepare for a lot more from me on this blog, most likely passionate ramblings about all the fantastic material we hold here at the Archives and Collections. But fear not, you will still hear from the rest of the Archives and Collections team and from our enthusiastic volunteers and interns on a regular basis as well. This is my third week in my new role and I’m already enjoying the variation. Flitting between introducing new visitors to archives, answering diverse enquiries and blogging about stories from the material, I know I’m going to like it here! 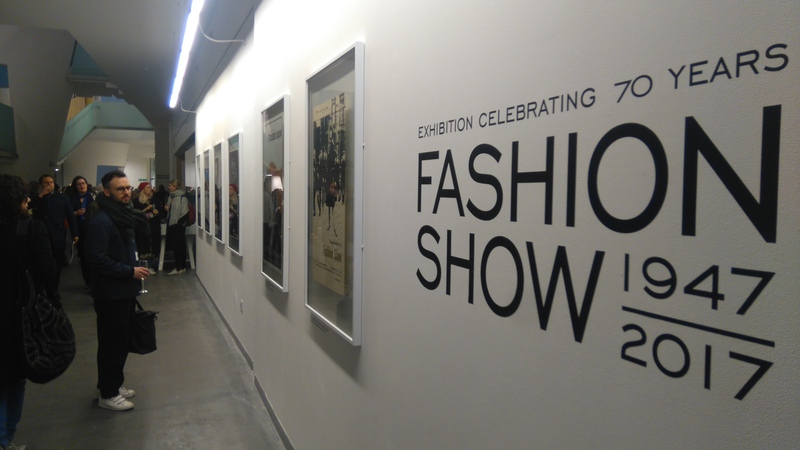 Last week, I also had the privilege of helping the exhibitions team to install an exhibition of material celebrating 70 years of Fashion Shows at GSA, much of which is held by us at the Archives and Collections. This involved learning a new skill which I didn’t know existed, using a dentist’s instrument to pick out vinyl letters for display captions – commonly known as vinyl weeding! 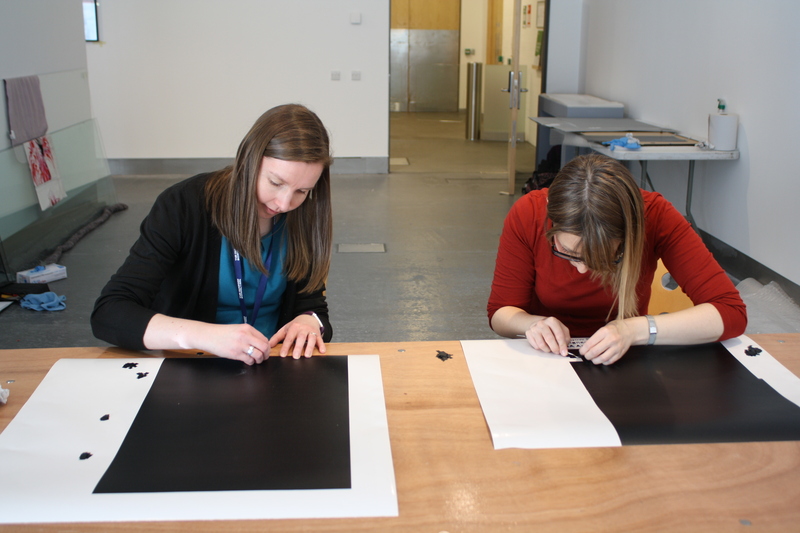 Skills for the Future trainee Jennifer Lightbody and Archives and Collections Manager Susannah Waters try their hand at vinyl weeding! It also involved test driving some huge new frames which are displaying our awe inspiring hand-made Fashion Show posters. The exhibition runs from the 4th to the 26th of March in the foyer of GSA’s Reid Building so pop in and have a nosy. 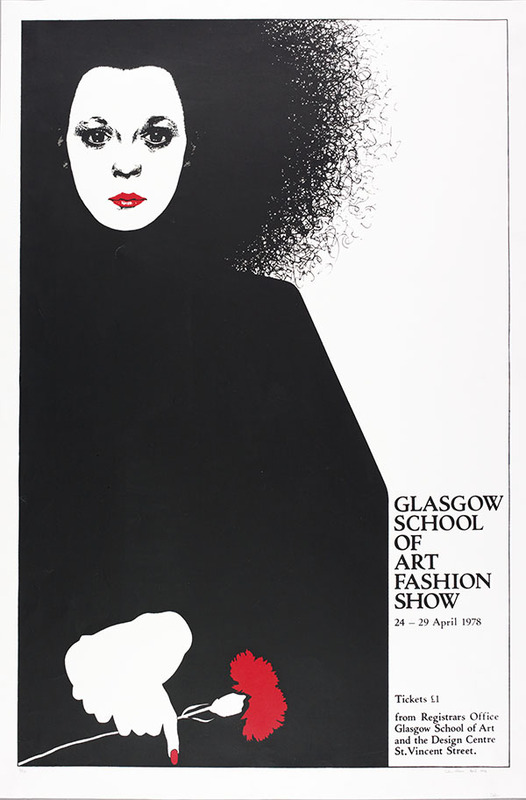 Opening night of The Glasgow School of Art Fashion Show 70th Anniversary exhibition on the 3rd of March. A more detailed blog post on this exhibition will follow soon! In the meantime, check out some of the posters you could see in the flesh here on our online catalogue. You can also get involved on social media using the hashtag #70years.